When you are searching for an (annual) calendar including 2019, 2020 and 2021 this is the place to be. 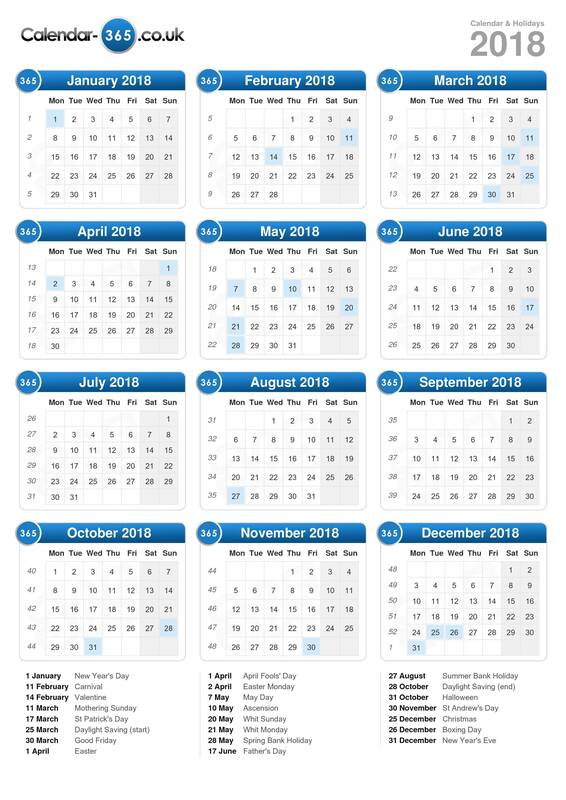 This calendar is very useful when you are looking for a specific date (holiday or vacation for example). Also every week number for every day is displayed for the year 2018. It's also possible to find out for a particular date in 2018 which week day is belonging to that date. View the Calendar 2018 below. 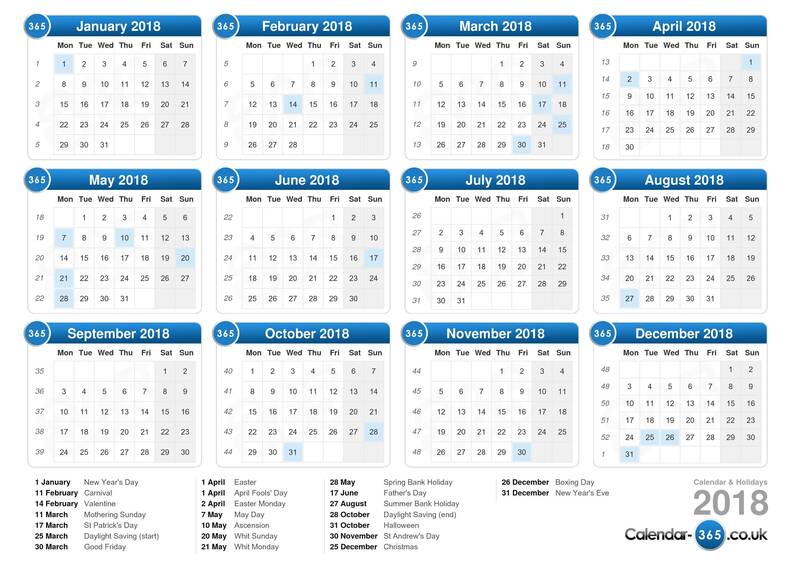 Download the printable calendar 2018 with holidays. 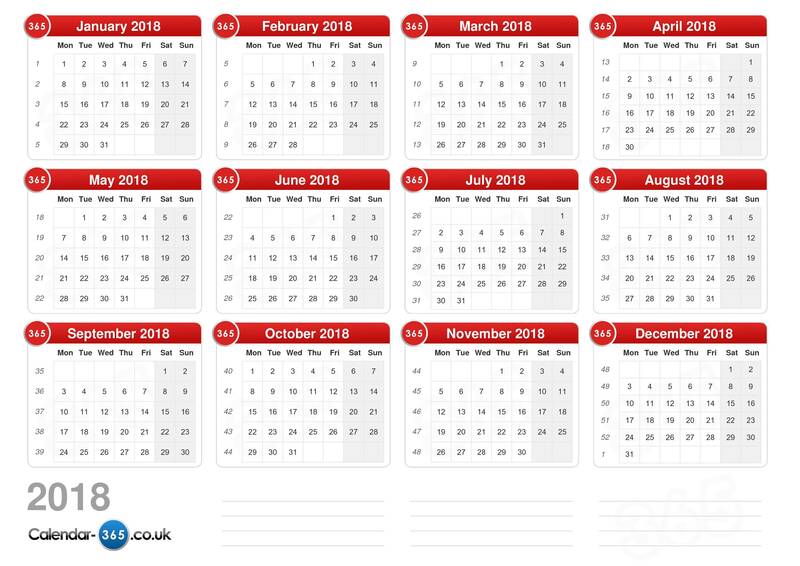 The calendar 2018 is automatically generated and can always be viewed online. 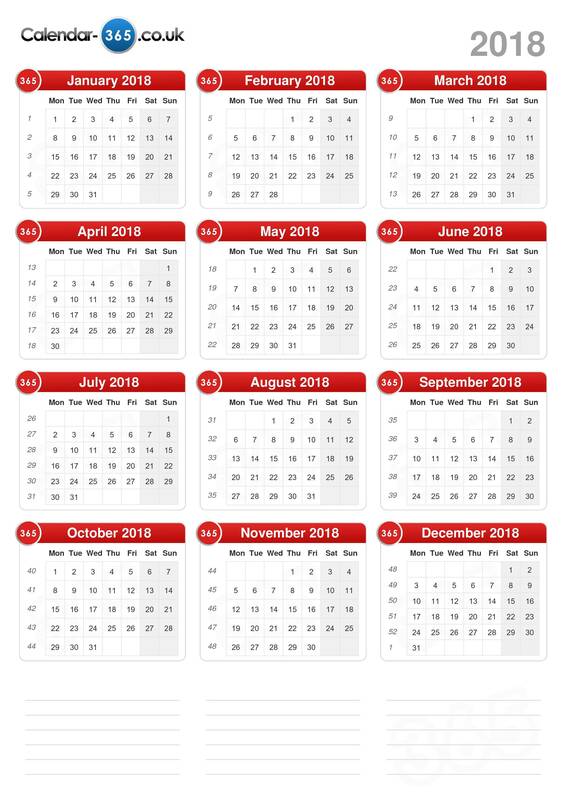 Within the above calendar you can also click on the month to see the month calendar for 2018 including all holidays and week numbers. In the menu above it's additionally possible to view the dates of the daylight saving for the next 20 years in the UK, leap years, current lunar phase in 2018, lunar calendar 2018, the world clock and some more options.